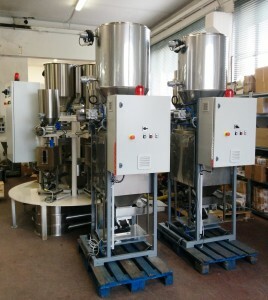 Epistolio provides services of consulting, designing and production of dosing and weighing systems, continuous and batch, for solid and liquid materials, manufactured according to customer requirements. The regulation system and the control of the feeders can be provided in both analog and digital versions; is guaranteed a precision of + / – 0.25% to 0.5% (2sigma) depending from the materials to be dosed. Our machines are widely used in the plastic industry, particularly for the feeding of granules, flakes, powders and liquids into starved twin-screw extruders. Finally, our technical staff is also able to provide service and spare parts for any previously installed HIDOS dosing unit. For any problem that you might encounter in the dosage or handling of materials, contact us and we will find a solution! For further info, you can visit the website of our Dosing Division www.epistoliodosing.com by clicking the image below.